The old Venetian port in Chania on Crete, Greece. Picture courtesy of Shutterstock.com / Patryk Kosmider. Firkas Fortess, Chania. Picture courtesy of Shutterstock.com / ssuaphotos. 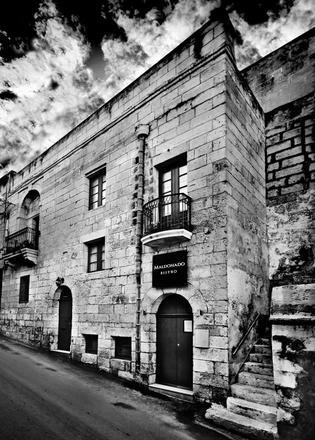 Picture courtesy of Facebook.com / Serenissima Boutique Hotel. Bodrum Peninsula, Turkey. Picture courtesy of Shutterstock.com / kataleewan intarachote. 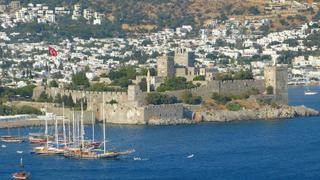 Castle of St Peter in Bodrum. Picture courtesy of Shutterstock.com / Alizada Studios. The spa at the Mandarin Oriental, Bodrum. Picture courtesy of Facebook.com / Mandarin Oriental, Bodrum. Gozo Bay. Picture courtesy of Shutterstock.com / JMAV. 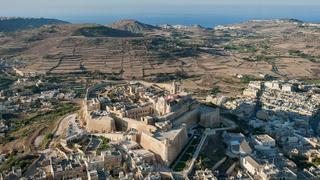 Aerial view over the Citadella in Victoria city on Gozo island, Malta. Picture courtesy of Shutterstock.com / Miks Mihails Ignats. Maldonado Bistro, tucked down a rustic alleyway typical of Gozo Island. Picture courtesy of Facebook.com / MALDONADO Bistro. As the temperatures start to fall in western Europe, consider an autumnal cruise to the eastern Mediterranean to catch some of the last rays before winter. Elizabeth Finney seeks out the top October and November offerings in three emerging yachting destinations. Chania, (also known as Hania) is Crete’s second largest city and is littered with ancient Turkish and Venetian history, both in its architecture and its culture. Pretty and atmospheric, it sits on the northern coast and boasts easy accessibility from the mainland. A quieter spot perfect for those in search of good food, great wine and stunning historical landmarks, it’s surrounded by crisp blue water ideal for snorkelling and diving. Where to moor: While the 164 metre superyacht Eclipse and 73.52 metre Sapphire have been spotted anchored outside the Old Venetian Harbour of Chania in recent years, other vessels such as 55 metre Galileo G have moored up within the harbour. What to do: While Chania is brimming with museums loaded with historical curios, the best way to get a feel for this charming city is to put one foot in front of the other. Wander around the harbour and through the narrow streets of the old town (perhaps stopping for a mouth watering dessert at Sketi Glika) before heading to the Firkas Fortress, a massive stone site that was built by the Venetians to guard the city from Turkish invaders and pirates – in 1645 the former succeeded and converted the fortifications into a barracks and prison. Another 16th century Venetian relic is the lighthouse at the mouth of the harbour, which is also well worth a visit. It is difficult not to immerse yourself in the history of Chania, so take your time and enjoy the centuries-old cobbled streets as well as the surrounding stone churches and monasteries. If reliving the ancient past isn’t your cup of tea, go hunting for treasures in Chania’s market and its art galleries, or if you’re looking for some more blood-pumping activities, opt for a beachfront horse riding lesson, a hike up into the mountains, a sailing trip around Crete’s coves and bays or a scuba diving trip beneath the ocean waves to discover the colourful and diverse marine life. Where to eat, drink and be merry: A lesser-known gem of the old harbour is Serenissima, a boutique hotel with an outstanding restaurant perfect for a late supper. The ever-changing à la carte is offered alongside the ‘Earth’, ‘Sea’, or ‘Vegan’ menus – popular dishes to look out for include beef tartare with cannelloni, zucchini risotto and slow-cooked lamb, all of which can be expertly paired with a delicious wine by the in-house sommelier Kleopatra Bright. Alternatively, wander 15 minutes up the road to the unpretentious Kertos. A no-frills and truly fantastic seafood restaurant, the freshness of each dish is unparalleled. Caramelised octopus is a favourite starter option and diners should think long and hard about their choice between the cuttlefish ink risotto and the kritharoto with scallops. Quaff a glass of crisp white wine at one of the best waterfront restaurants in the Greek islands with undisrupted views of the sun setting behind the sea. Where to relax: While the beautiful Casa Delfino hotel offers a marble steam room and a myriad of treatments, including multi-sensory spa journeys and deep tissue sports massages, those looking for a more classical experience should head to the Al Hammam traditional baths. After a 30 minute hammam followed by exfoliation and an olive soap bubble massage, migrate from the warm marble relaxation rooms to the colourful roof terrace, which is decked out in tea lights, lamps, sun beds and comfy lounge areas. Alternatively, stay nestled in the low lit tunnels of the hammam and indulge in a four hands massage and a picture perfect pedicure. With sparkling lapis lazuli waters and an idyllic blend of rustic eastern Mediterranean architecture and luxurious offerings, Bodrum is the perfect spot to unwind at the end of summer. Boasting a vast superyacht marina on the northeastern coast of the peninsula, visitors can enjoy five star hotels, historical artefacts, sprawling beaches, excellent local cuisine and a few warm rays of sunshine. Average temperature: 21°C in October with highs of 25°C, 16°C in November with highs of 19°C. Where to moor: Superyachts up to 135 metres can moor on the western coast of the peninsula in Palmamarina Bodrum, a luxurious yacht hotspot loaded with desirable amenities, from spas and gyms to shops, bars and restaurants. Alternatively, there are good anchorages in Torba Bay (74 metre Mogambo was spotted here earlier this summer) and yachts up to 340 metres can moor or anchor at the Bodrum Cruise Port, situated at the heart of the main city. 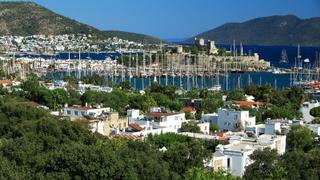 What to do: Like many of the coastal cities in the Mediterranean, Bodrum has been built atop a wealth of history. The first port of call should be the 15th century Bodrum Castle that was built by the Knights of Rhodes, followed by the ruins of the Ottoman Shipyard, which was destroyed in 1770 and is located on the opposite side of the bay. 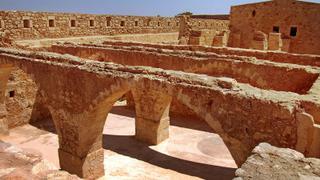 Both offer stunning views and a look into the tumultuous history of the area. Additionally, a visit to the Myndos Gate, the only surviving monumental gate of the 4th century city wall of Halikarnassos, is well worth the short walk north west from the harbour. If you have time, head to the traditional west coast town of Gümüşlük, approximately 50 minutes away by car. Walk the slim, underwater causeway to Rabbit Island – the water is only around knee height – to see if you can spot any hopping around, and then potter around the artisan market near the small harbour, before selecting one of the many seafood restaurants overlooking the water for lunch. For bolder guests who want something a little different to scuba diving, try out a freediving lesson. Medfish Freediving School offers a range of courses to train you up so you can observe the stunning marine life – keep an eye out for seahorses, octopi, grouper, turtles and rays – while pushing yourself to the limit. For keen divers, there are some extraordinary wreck dive sites, including the Pinar I and SG-155 shipwrecks, the Dakota C47 plane wreck and the Bubble Cave, all of which provide great swim throughs to explore. Keep an eye out for the remnants of ancient pottery and amphora peppered around the ocean floor. Where to eat, drink and be merry: One of the best seafood restaurants in Bodrum, Orfoz is a gastronomic experience worth trying. The expansive tasting menu offers fresh clams, mussels and oysters and can be accompanied by expertly-selected wines. Ask for a table out on the deck and enjoy views over Bodrum Harbour. For something a little more rustic, head to Erenler Sofrasi, approximately 20 minutes west of the city centre. Go for a traditional supper, which will be lit by colourful tea lights in the beautiful stone-walled courtyard surrounded by mountains and fields. All the ingredients are sourced from local markets and farmers, meaning the menu is consistently changing through the seasons, however if you do spot stuffed vine leaves or sweet homemade baklava as potential options, these are not to be missed. Additionally, to make an event of your experience, you can try out a cooking lesson with the chef, Asli. 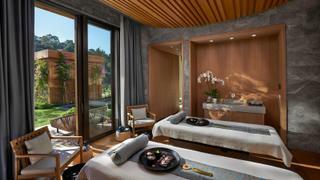 Where to relax: Unsurprisingly, the Mandarin Oriental Bodrum is second to none. Set at the heart of lush and well-kept gardens, the three-level spa complex loaded with sleek stone hammams, eight contemporary treatment rooms with clear views of the twinkling turquoise ocean, outdoor treatment cabanas, an indoor and outdoor pool, and a myriad of saunas and steam rooms to wander around. Opt for the Mediterranean Journey treatment, which begins with an olive seed and oil scrub before a pine-flower honey mask, which is followed by a foot or head massage and a traditional foam massage with aromatherapy oils. Finally, enjoy the Signature Oriental Essence Massage, after which you’re more likely to float away than walk. For those with niggling back problems, head straight for the gym to arrange a one-on-one reformer Pilates class with one of the exceptional in-house trainers. The small island of Gozo sits to the northwest of mainland Malta and is peppered with sleepy villages that are punctuated with an astonishing array of historical structures, from ancient temples to 17th century fortifications. Cocooned in golden rock and sand beaches, visitors can swim and sunbathe, visit the beautiful salt plans or partake in numerous adventure activities. Energetic pursuits aside, Gozo also offers great food and wine in quirky restaurants, both around the marina or tucked away in winding stone alleyways, making it a must-visit spot for those exploring Malta by superyacht. Average temperature: 21°C in October with highs of 24°C, 17°C in November with highs of 20°C. Where to moor: Yachts up to 60 metres can moor in Mgarr Marina, a great stop off for people cruising from Malta to Italy up the eastern coast, situated on the southeastern coast of the island, and there is an anchorage outside the marina for larger superyachts. What to do: Oenophiles should head to the Tal-Massar winery to enjoy a wine tasting session and a tour of the vineyards. Founded by American Carmel Hili in 1934, it now produces six varieties of red, white and rose. Enjoy all six alongside some Gozitan galletti crackers with homemade dips, bread with Gozitan olive oil and sundried tomato and local sheep’s cheese. 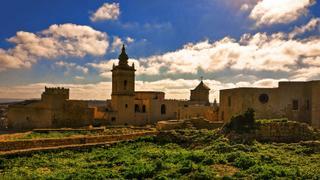 Head into Victoria, the capital of Gozo Island, to visit to Citadella, a fortified city that was originally built in 1,500 BC, though the current walls date back to 1622. Seeing the rolling hills of Gozo from the lofty heights of these ancient ramparts is an inevitable highlight of a trip to the island. Boasting snapshots from several different eras, you should make time to visit the palatial cathedral, the old prison and the World War II air-raid shelters. If that’s not enough history for you, head to the extraordinary Ggantija Temples. Listed as a UNESCO World Heritage Site, they date back more than 5,500 years and are some of the world’s oldest religious manmade structures, second only to Göbekli Tepe. 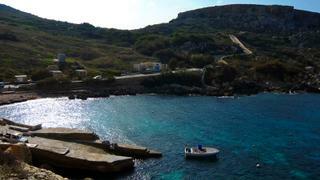 Gozo is well-known for its must-do scuba dive sites. There is a choice of 10 plane and shipwrecks to explore, as well as a network of winding caves and reefs littered with colourful corals, sponges and fish. Additionally, visitors can still see the Azure Window sea arch, which crumbled into the sea in March due to tumultuous storms, as the fallen rocks have been reborn as a beautiful diving spot. Non-divers can opt for rock climbing and abseiling adventures, sea kayaking tours around the rocky coastlines or cycling excursions into the countryside. Where to eat, drink and be merry: Victoria is 15 minutes away from the marina by car and boasts a plethora of trendy high-end eateries, most of which are tucked away in the smaller stone-walled streets. Don’t miss a trip to Maldonado Bistro, which embues a rustic wine-cellar vibe and offers a menu featuring delicious Gozitan octopus and homemade burrata starters. For the main, go for the rabbit spaghetti with white wine, peas and garlic or the roasted rockfish with apple slaw. Stay for cocktails and try the surprisingly good signature Maldonado, a concoction of darm rum, cola, lemon, ice and red wine. Closer to the marina, a popular option – and for good reason – is Tmun Mgarr, where you will find fresh and locally sourced seafood alongside fine wines and some meat dishes. Try the fresh Gozo asparagus and poached egg with rosti potatoes followed by pan fried monkfish and a crisp glass of white wine. If you’re yearning for some home comforts, head to Patrick’s Steakhouse to try some of the most succulent cuts of meat on the island. A true carnivore should opt for the tasting menu, which comes complete with a wine pairing per course and includes veal carpaccio with black truffle, Barbary duck breast and suckling pig cutlets with a fiery whisky sauce – though you must note, this needs to be books 24 hours in advance. Alternatively, you can’t go wrong with the Kobe-style New Zealand sirloin steak. Where to relax: Just 20 minutes from Mgarr Marina you’ll find the Kempinski Hotel San Lawrenz, home to the best luxury spa in Gozo. With both signature and Ayurveda offerings, you can choose a treatment that adheres to your needs. Ayuverda refers to the use of ancient healing techniques and each of the treatments is carried out by a therapist specially trained in Indian Ayurveda practices. Treat jet lag and fatigue with the Voyage body massage, or to soothe painful muscles and joints select the Elakizhi treatment. For something seriously indulgent, opt for the Island Experience, which involves 90 minutes of full body massage using juniper berry, rosemary and grapefruit essentials oils followed by hot stones, skin cleansing and moisturising.